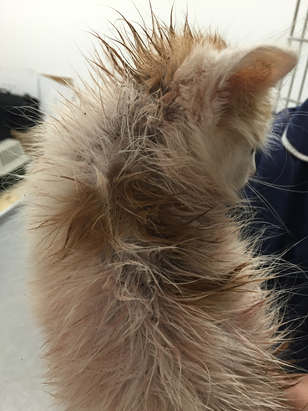 The Vet Liverpool had a stray kitten brought in who was in a terrible state, he was under nourished, full of fleas and flea dirt and generally not in great shape. 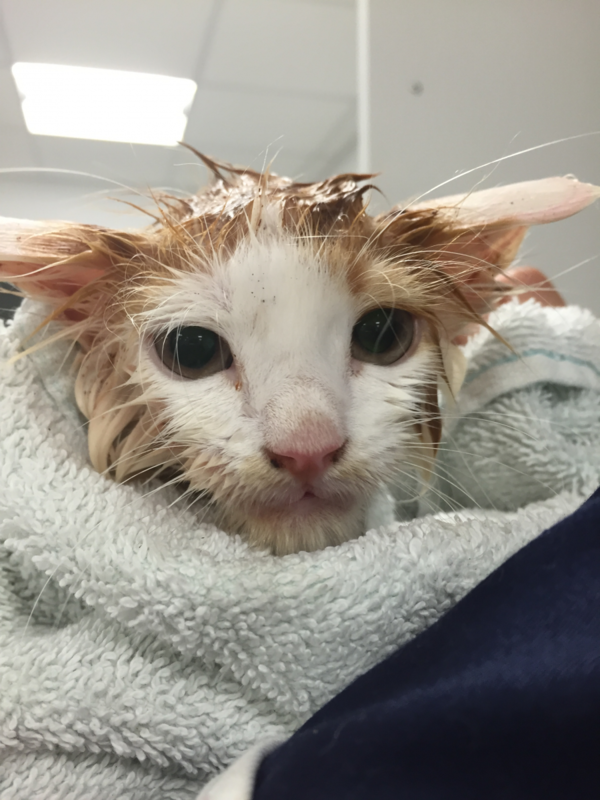 Veterinary Care Assistant Corrin took a shine to him and used her lunch hours and spare time to take care of the neglected kitten. They cleaned him up and helped him get back to full health! The vet has to keep strays for 7 days to see if they have an owner. However, in the meantime they started talking with friends and family to see if they could secure a loving and caring home, if no-one claimed this cute kitten. Gemma, one of the Receptionists, was able to find such a home with her friend who was keen to take on the stray once the 7 days passed. 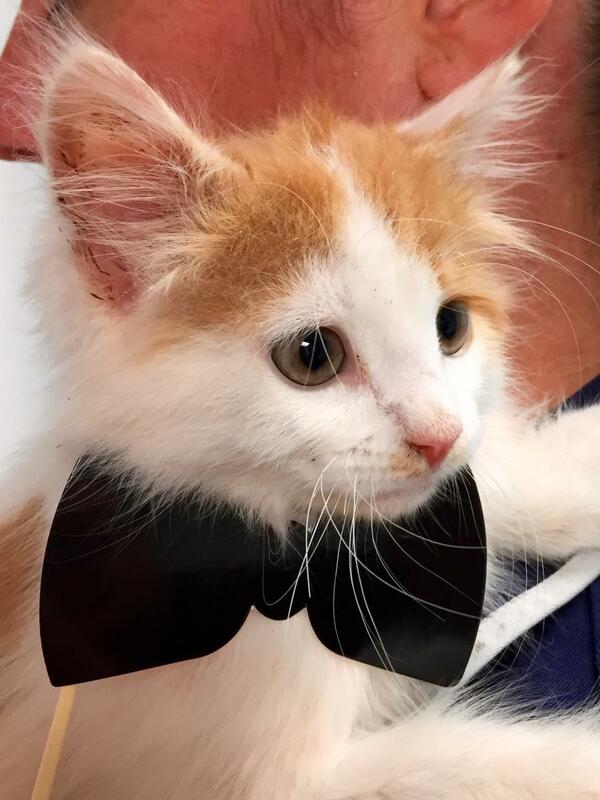 After a week, the kitten had not been claimed so they were able to re-home the newly named Casper…………who was able to enjoy The Vet Liverpool’s 1st birthday celebrations with them before saying goodbye to the team!